The small town of Beverly, which lies six miles to the south of Elkins and has a long and interesting history and it lies six miles to the south of Elkins. Explore Beverly’s past at the Beverly Heritage Center and the Randolph County Museum. Learn about the Civil War at Rich Mountain Battlefield, which is a just few miles outside of town. Beverly Cemetery Walk 2014. The Historic Beverly hosts are dressed in examples of traditional mourning clothes. Elkins is a gateway to the Monongahela National Forest, which spans several counties on the eastern side of West Virginia. The offices for the forest service are located at 200 Sycamore Street in Elkins. Stuart Recreation Area is very close to Elkins, about seven miles outside of town. One of the most popular areas of the forest is Seneca Rocks, which is a great place to go hiking or rock climbing. Seneca Rocks is about a forty-five minute drive from Elkins and its Discovery Center is open seasonally. The High Falls of the Cheat, which are only accessible by hiking or on a Durbin and Greenbrier Valley Railroad train ride. There are five state parks that are within about an hour to an hour-and-a-half drive from Elkins. Canaan Valley Resort State Park and Blackwater Falls State Park are both located in Tucker County to the northeast. Audra State Park is to the west, between Elkins and Buckhannon. Cass Scenic Railroad State Park and Kumbrabow State Forest are located to the south of Elkins. A view from one of the trails at Canaan Valley Resort State Park. The falls at Blackwater Falls State Park. Weston is about a forty-five minute trip from Elkins and it has the historic, and supposedly haunted, Trans-Allegheny Lunatic Asylum. 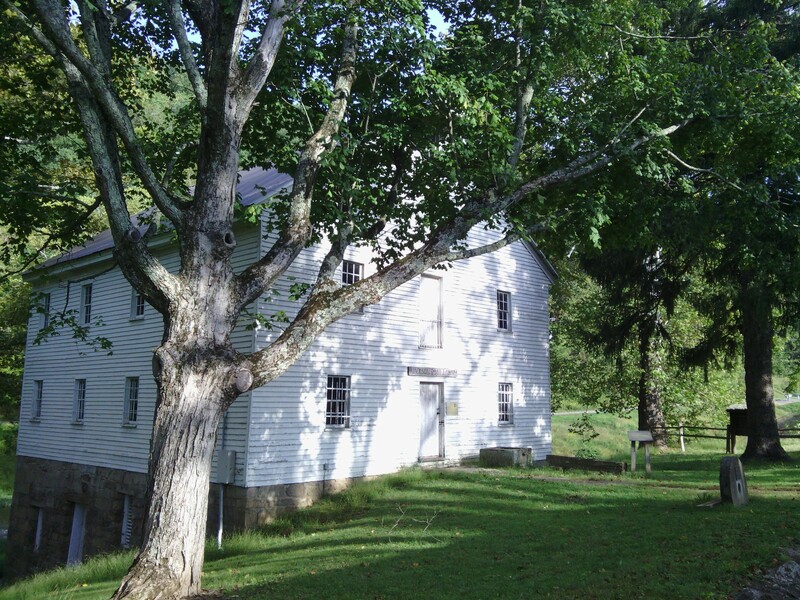 Also, Stonewall Jackson’s boyhood home, Jackson’s Mill, is just a few minutes outside of Weston. The Farmstead section of Jackson’s Mill.